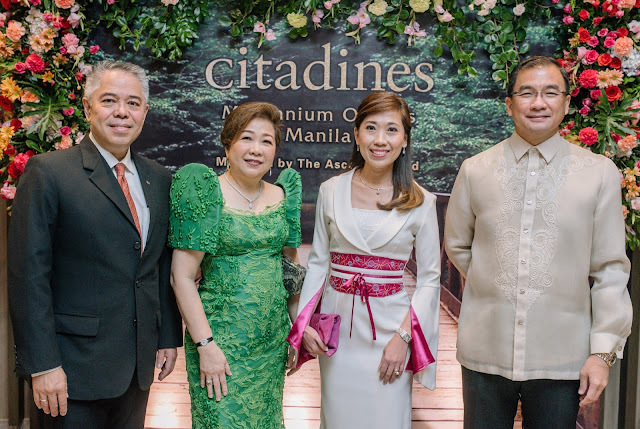 Towering 32-storey tall over the Ortigas Center cityscape, Citadines Millennium Ortigas Manila held a grand opening celebration attended by distinguished customers, partners and select members of the media. Featuring a vibrant, innovative and sustainable city living, Citadines Millennium Ortigas Manila is managed by the renowned international serviced residence owner-operator, The Ascott Limited. The new property promotes balanced lifestyle between work and play to its guests and residents. It houses 293 spacious apartments, a garden deck, and luxurious amenities, all of which are designed vibrantly to reflect the beauty of nature. Citadines Millennium Ortigas is also the 7th property in the fastest growing Ascott Philippine cluster. Photo shows (L-R) Arthur Gindap, regional general manager for The Ascott Limited in the Philippines and Thailand; Melesa Chua, president and chief executive officer of CDC Holdings, Inc.; Maribel Eusebio; and Pasig City mayor Robert Eusebio.